There are 5 main sizes, and you can order one depending on the different price points. Cast, not dipped. These highly detailed pewter leaves are a result of years of experimentation. 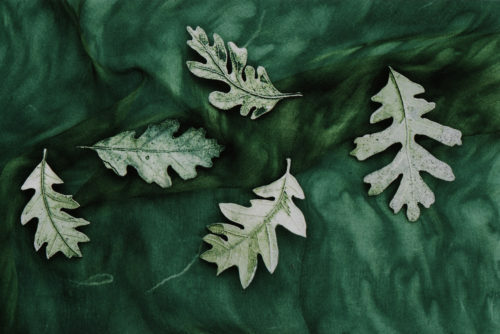 Each leaf is cast out of lead-free pewter using a mold based on an actual Oak Leaf. It is then individually finished with a hand applied non-toxic green patina (which means the patina of each leaf varies slightly) and finished with a basic bar pin. Light weight and elegant these pins are a perfect addition to a kilt hat or lapel. Although each leaf varies slightly there are five main leaf sizes. Prices vary by size. The ex-large leaf size is roughly 2 & 3/4ths of an inch to 3 & 1/2″ long. The smallest size is roughly 1 inch. Please specify ex-large, large, medium or small. Display or wear several together and enjoy a permanent reminder of Spring.